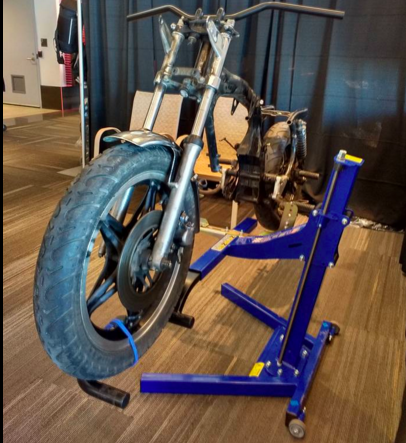 It can be hard to find a place to work on your motorcycle. Cities are expanding, and as they do so, the spaces where we live seem to keep getting smaller. As condos, apartments, and shared housing expands, it can be rare to have your own private garage. It becomes hard to find a space to store all the toys you want to own, and makes it more difficult to find space to take care of them. Aside from all of that, you may not have all the tools required to do your own work, or you may never have done that job before and could use some guidance. The communal garage for motorcyclists to share.  With the vision of having a shop for those that don’t have their own space or equipment, DIY Moto was created. After years of visualizing the concept, founder and owner Shawn Lehn put the wheels in motion to create the shop. 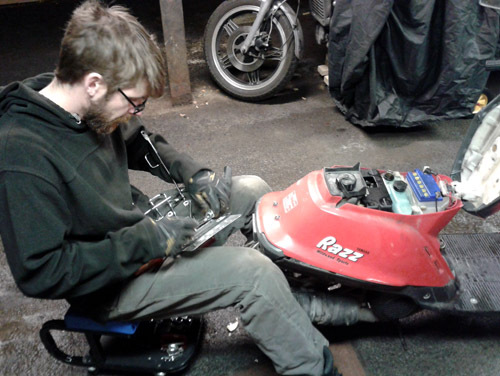 Growing up alongside his father who’s an automotive machinist, Shawn loved building and fixing the machine’s he’s owned, from snowmobiles, ATV’s, dirt bikes, and motorcycles. It can be fun to do your own work, and often can be cheaper, so with this shop you have the ability to do it yourself without the limitations of not having the right tools, or enough space. What the space looks like. 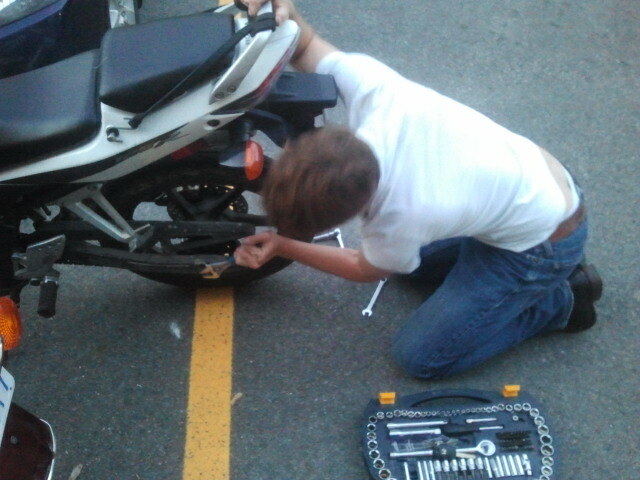 The shop has 4 bays to work on your bike. Each bay is set up with a lift, a work bench, and it’s own set of tools. We also have a tool bar where you can access bigger or more specialized tools that don’t get used as often. You can find out more about the set up and see the listing of tools on the shop page. Not only can you come in to work on your motorcycle, but it’s also a place where you can meet others with similar interests. 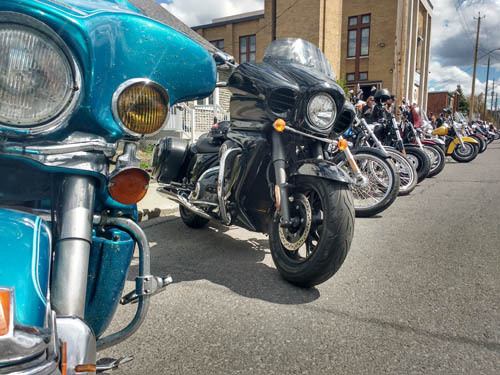 You can come and relax on the couches, grab a cup of coffee, and just hang out and talk with other motorcyclists and see what sort of work they’ve got going on. You never know who you might meet, what you could learn, and the inspiration you’ll get for your next project. Find out where we’re located.